Vintage Oak desk - Original House – Decorative Antiques, Vintage Industrial Furniture and Lighting, Cotswolds. 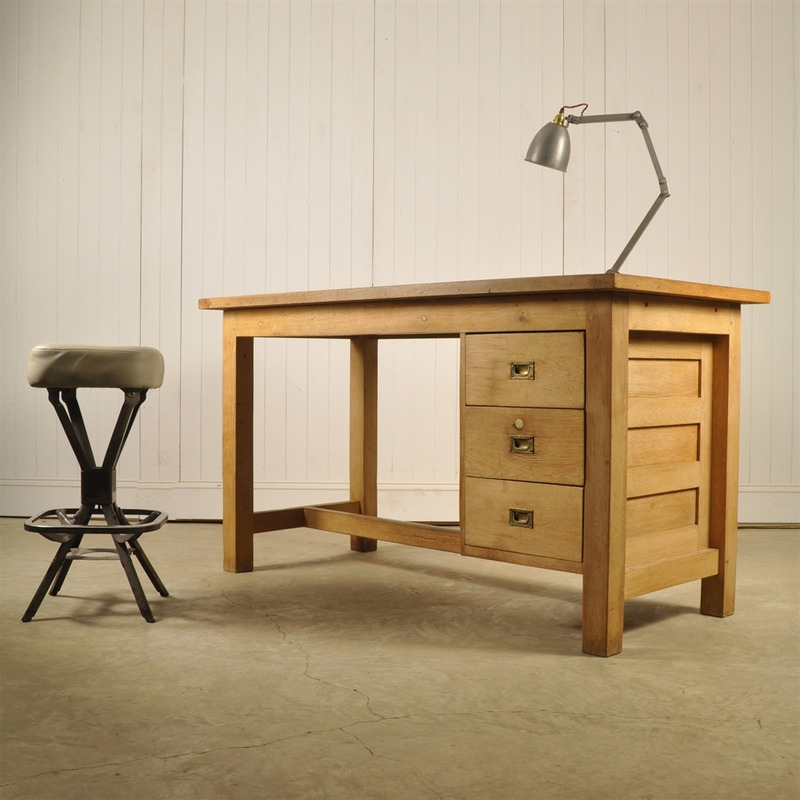 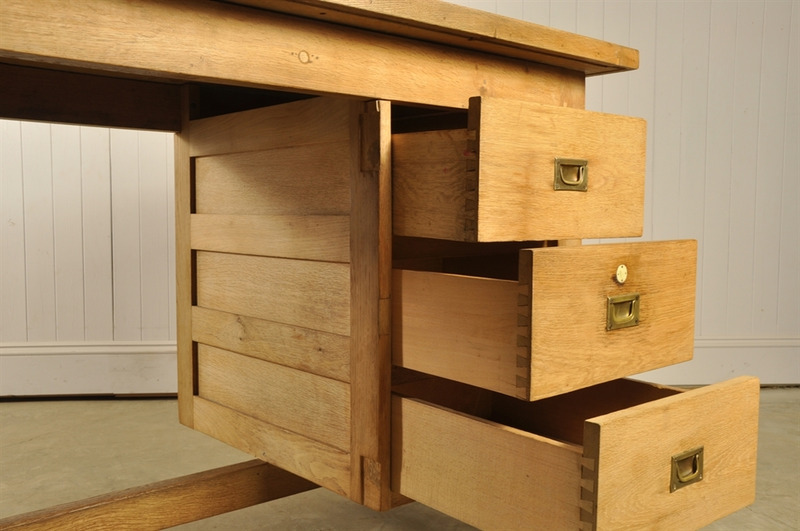 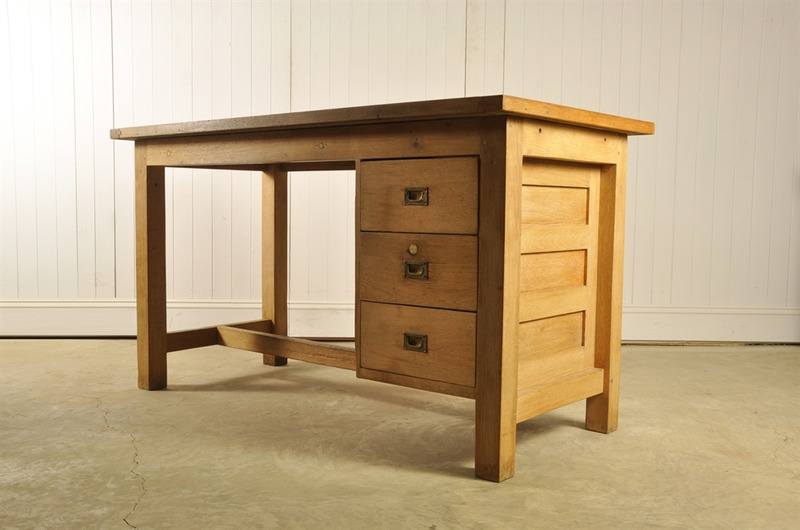 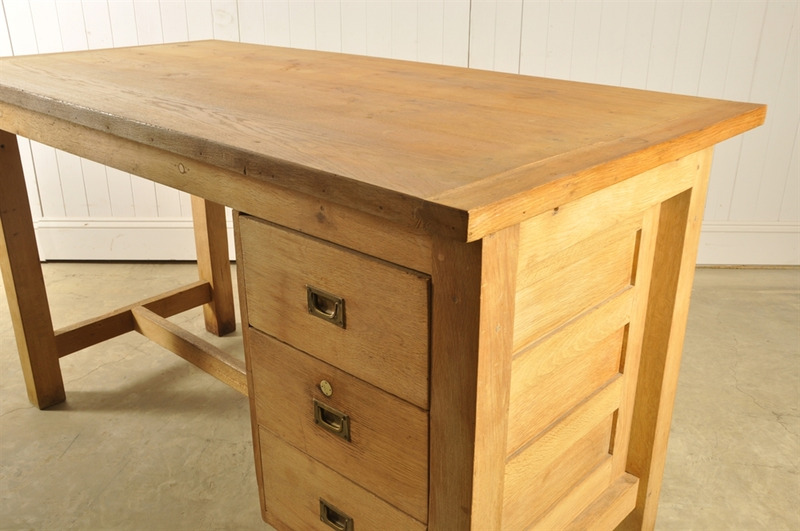 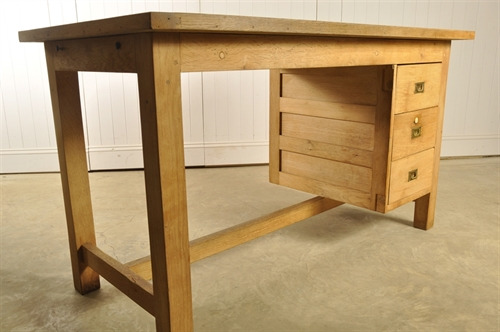 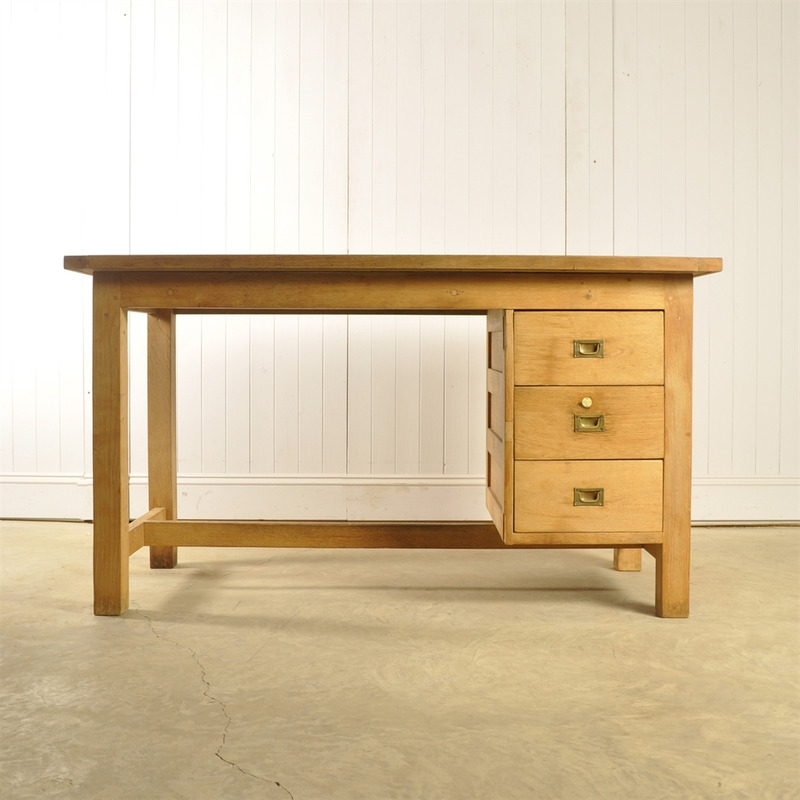 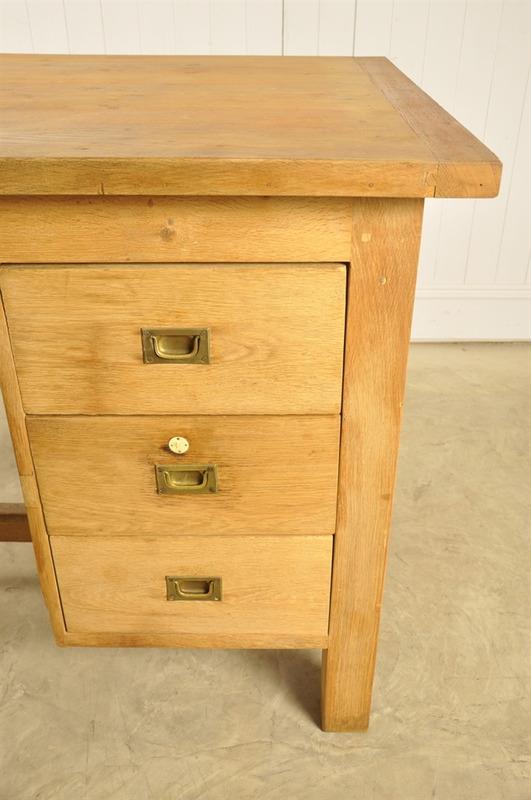 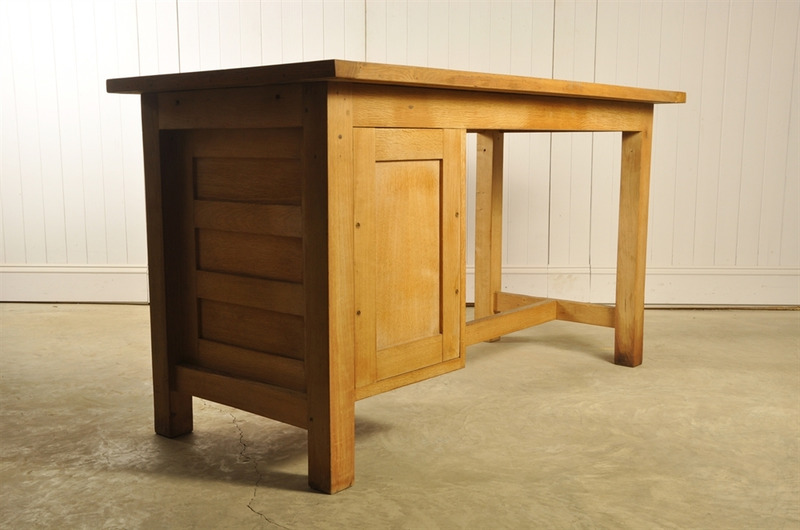 This lovely vintage oak desk was sourced from a factory in Paris. Circa 1940's in great condition and a lovely colour. 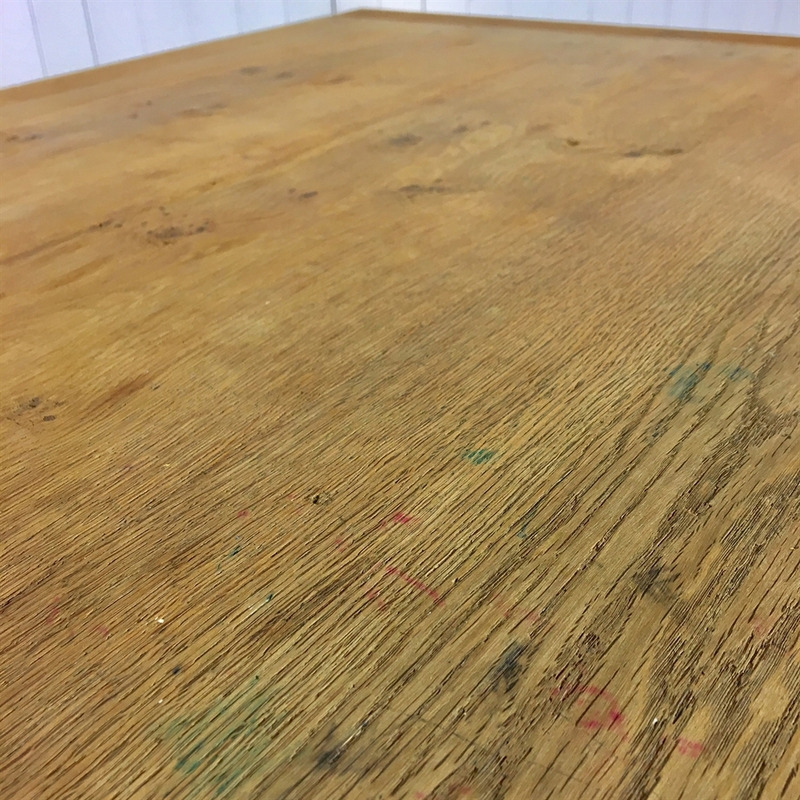 Some patina as per its age here and there. 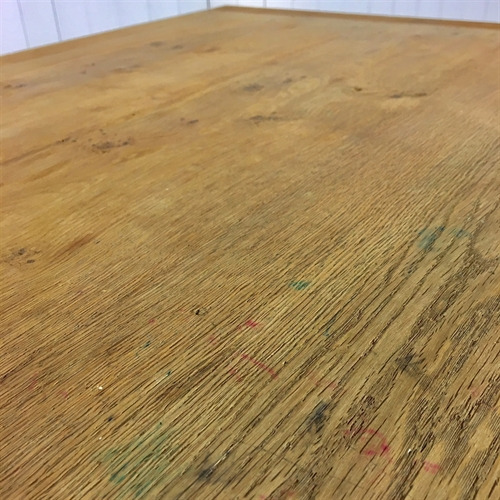 A few paint splashes and very faint cup rings on the top - all of which could be sanded out, but we thought rather added to the character. 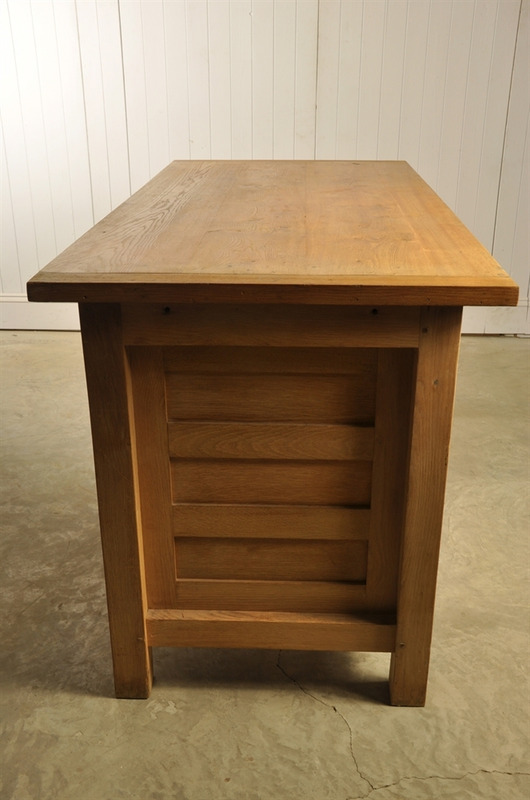 This is a tall desk, designed to be sat at on a stool or high industrial chair - lovely proportions. 90 cm h x 160 w x 78.5 d.